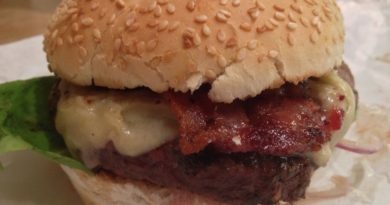 At Real Burger we believe that the humble hamburger should be given the respect that 100% pure, grass fed, Gloucestershire beef truly deserves. 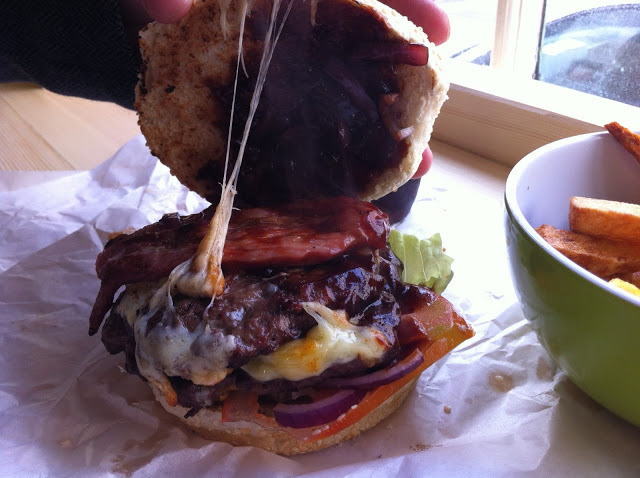 BBQ – With smoked Cheddar, Gloucester Old Spot bacon, caramelised red onions & BBQ sauce. 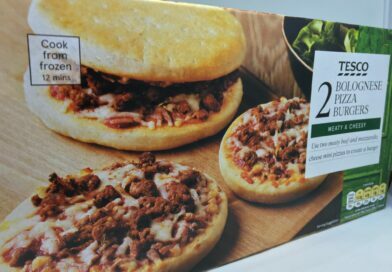 Price: £6.70 for the burger, £8.30 as part of a meal. 4oz £4.70 and 6oz £5.70 options also available. 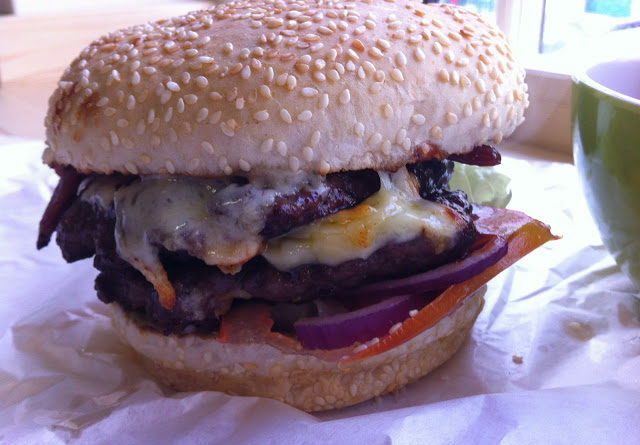 Tucked away down a street in Cheltenham is a joint fittingly called Real Burger. 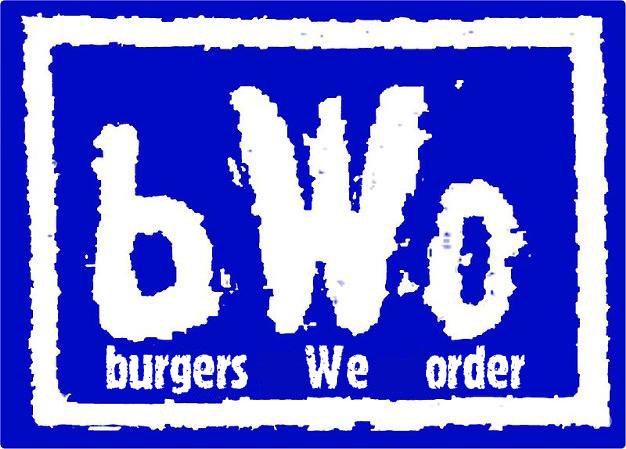 It has always been recommended to me and so with one of the bWo’s (burgers we order) birthdays coming up soon we decided to ‘invade’ and check out just what was on offer. Real Burger boasts a very impressive menu of mainly beef burgers available in 4oz, 6oz and 8oz burgers but has a good array of Chicken and Vegetarian burgers and I also spotted a lamb one too. 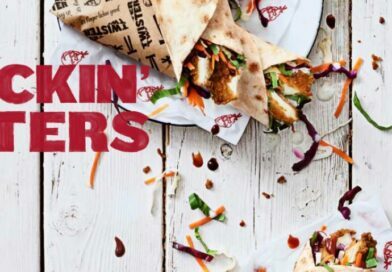 There are some tasty sounding entries such as the ‘New Yorker’ and the ‘Mexican’ but on this occasion I thought I would savour the BBQ classic. All the burgers are home-made and cooked to order so when six of us turned up at lunch time we wondered how quickly the burgers could be turned around in our lunch hour slot. Inside it has a cosy, late night food stop feel to it with one stool and three chairs and additional counter space for standing room only. This didn’t trouble me one bit and was quite a novel way to eat your burger. Who needs a chair when you have such fine sounding ingredients? We waited patiently as the meat sizzled away on the griddle and the smell was beautiful coming from the kitchen area. 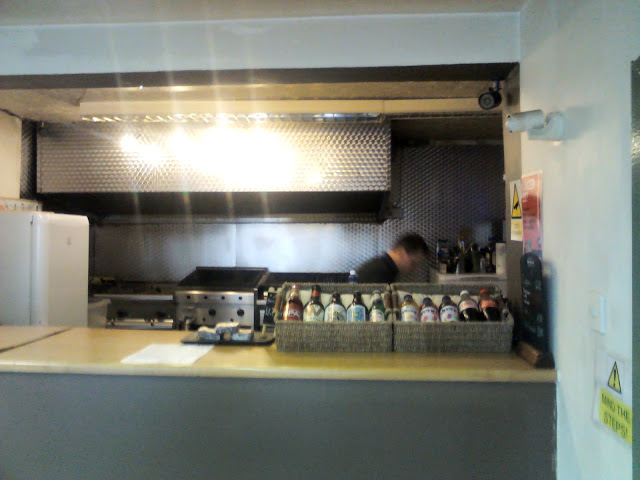 You can see the chef cooking the burgers and there’s no ready-made burgers waiting for you here! As others around me grabbed their prized orders (with their smug mugs) I didn’t lose my cool. And my patience was rewarded with 8oz of pure 100% Gloucestershire Beef. After the usual ritual of the burger photo shoot, I was ready to tackle this beautifully presented bun of joy. Now you could describe this burger as being ‘good’ but I would say that this was exceptionally tasty. To coin a phrase from one of my travelling companions ‘you could really taste the quality’. Let us look at each individual component before giving an overall taste verdict. The bun – to me one of the first things you notice. 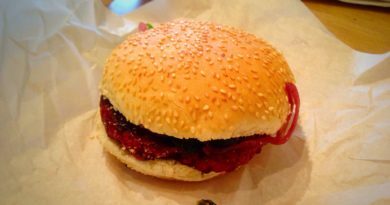 Perfect size, fresh, no attempt at any ‘gimmick’ just a classic, sesame seed bun which coped easily with the meat mayhem held within. 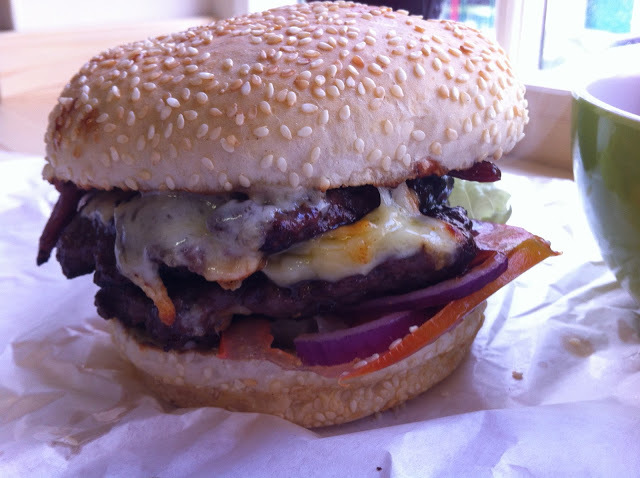 The burger/beef – obviously the most important element. I don’t think I have tasted something so good in a while. The two patties were really juicy and cooked to perfection and had a lovely, natural char grill texture and taste to them. 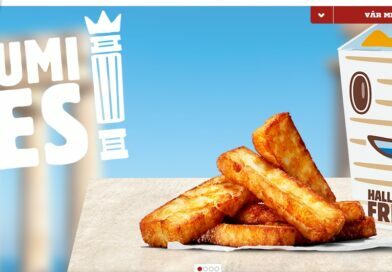 You really have to try one of these soon if you haven’t already! The Gloucester Old Spot bacon – this was brilliant. Really thick and I commented that it was more like a gammon slice than bacon. 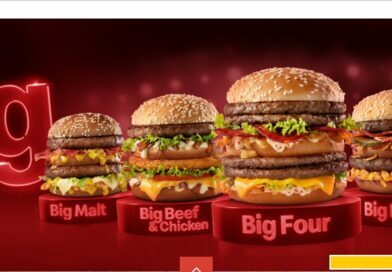 Again another high quality ingredient added to an already impressive burger. The Cheddar – was melted perfectly, thick, creamy and held everything nicely together. As we pulled the lid of the bun off to get the second shot it really clung to the bun and looked like a gooey masterpiece. The remaining elements (the BBQ sauce, caramelised red onion, lettuce and fresh red onion (I removed the tomato)) complimented the other ingredients and made for one of the best tasting burgers I have ever had. I literally came out of there saying which one I would opt for next time. 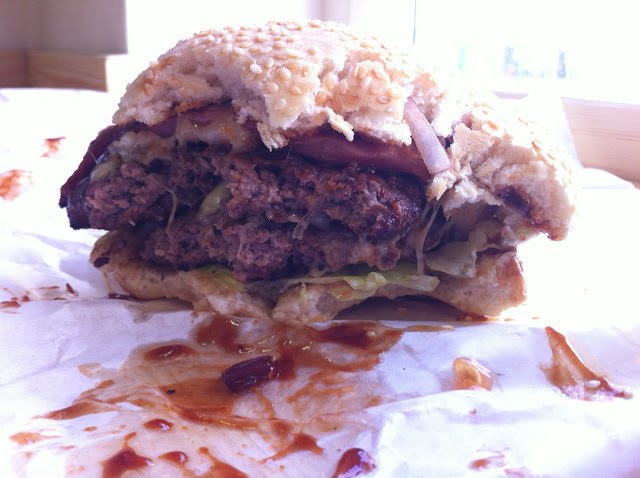 The BBQ sauce was not too sweet like others can be and I got a nice, clean hit from the fresh red onion now and then. Overall, the 8oz BBQ Classic Steak burger is a mighty, meaty, monster burger which is lovingly cooked and assembled using fresh, local ingredients. It got a bit messy when eating but that’s half the fun. 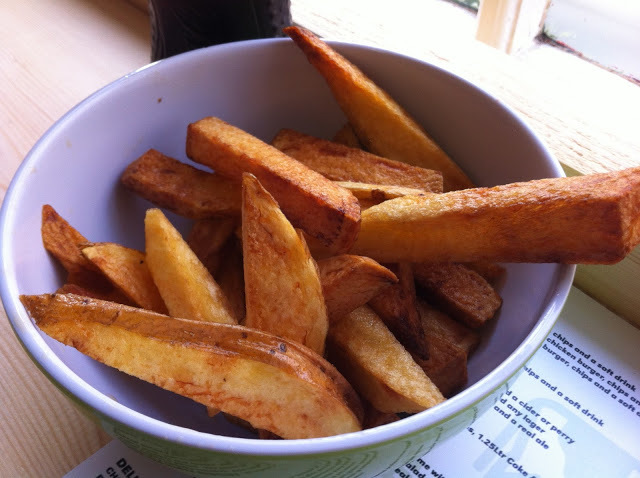 The chips were OK, I probably would pass next time but I am already plotting my next visit. People often say another popular independent burger joint in Cheltenham is the town’s favourite/best by far but for me and the fellow bWo this is the real place to be for quality home-made burgers. 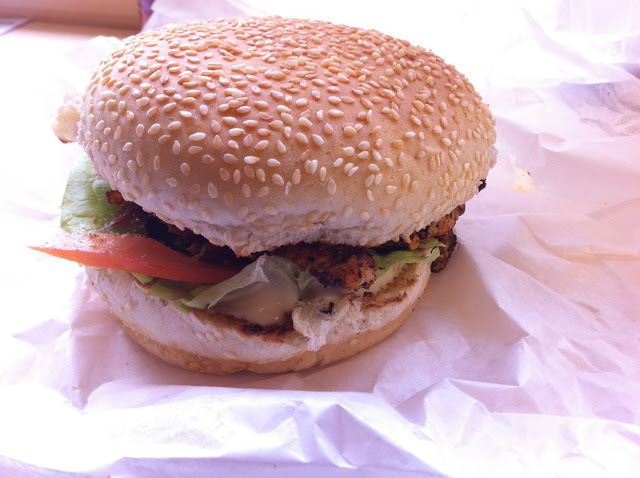 The Piri Piri Chicken was described as: “A piri-piri chicken fillet burger so fresh it laid an egg of pure delight right in my mouth”. 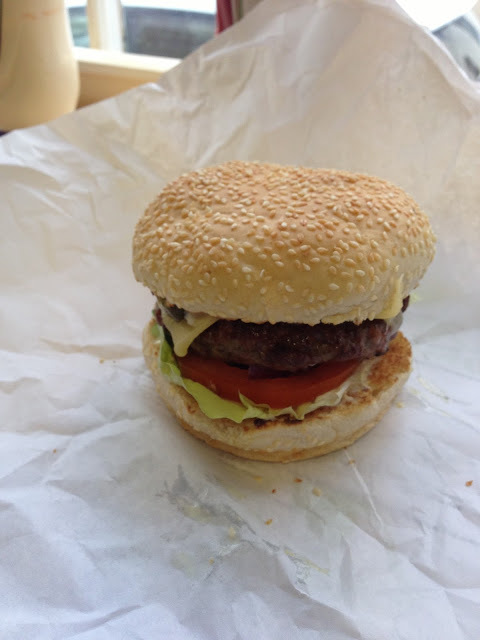 Here is the tempting looking New Yorker (David Attenburger still can’t hold the camera correctly). To summarise Real Burger, Cheltenham. 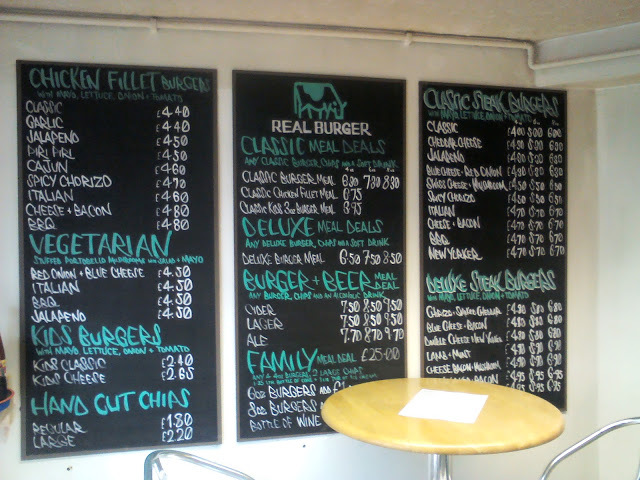 Totally amazing burgers, cooked to order, fresh, good quality ingredients, and all at a fantastic price. If you are in Cheltenham from midday (1pm Sundays) until 11pm (3am on Fridays and Saturdays) please remember if you fancy a burger… keep it REAL. 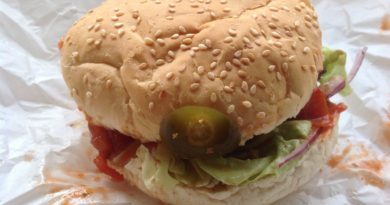 If you enjoyed this review check out our other Real Burger review here. Great Review Scratch Nasty. I look forward to the next burger adventure!